So, race day. I was seriously grateful that the previous two days of rain and overall slop had stopped and the morning showed up in the high 50’s with the sun promising an appearance. I live about 50 minutes away from the downtown San Antonio area where the race was being held ( this is with no traffic to contend with on an early Sunday morning 😉 so I was out and race bound by about 6. Race was set to go off about 7:45 but somehow they never quite get it started at that time. Anyway, if you run, then you know you just want to get to the site so you can just…chill… settle in… start getting focused and in your head. I need some time to set distractions aside and key in on what I’m about to do. 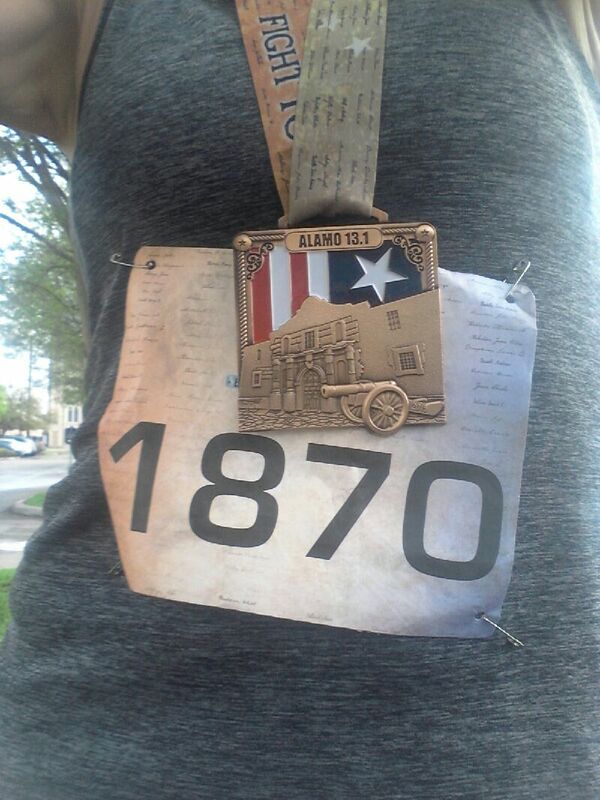 I mean, seriously, I know it’s only 13.1 miles, but then, it IS 13.1 miles…. it does require work and effort. OK, the race itself as I mentioned in a previous post, is a 4 year old home grown event that is coming into it’s own. 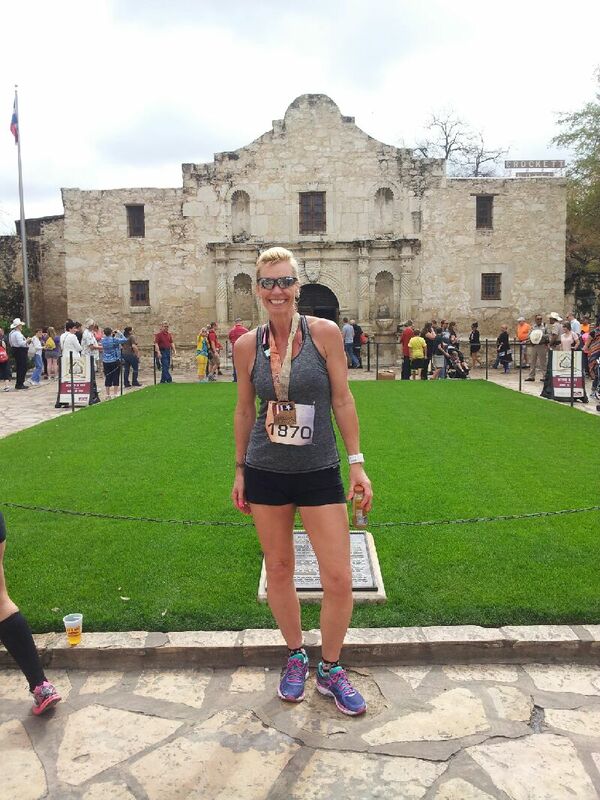 I love that we run through so much of old historic downtown San Antonio and that the start/finish is at our Alamo. 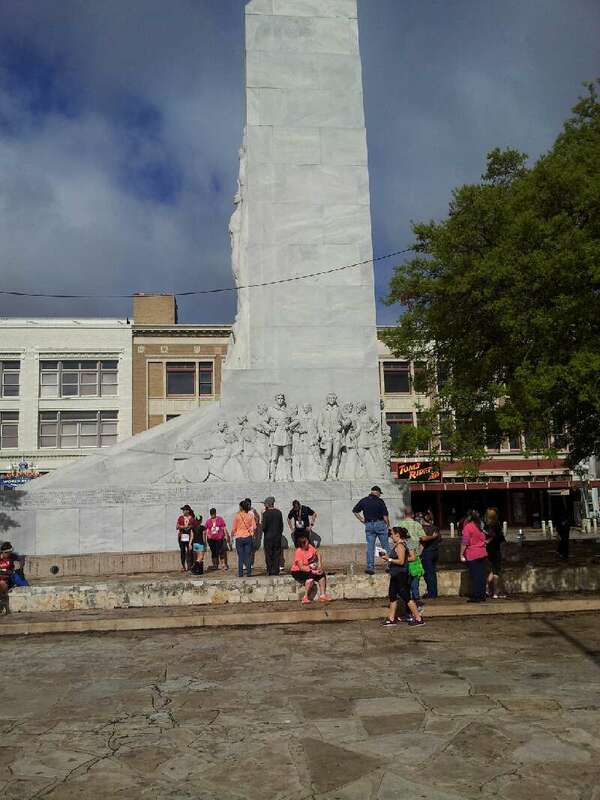 And so you know, across the street from the Alamo is this huge monument to the men and the battle that was fought on this site. 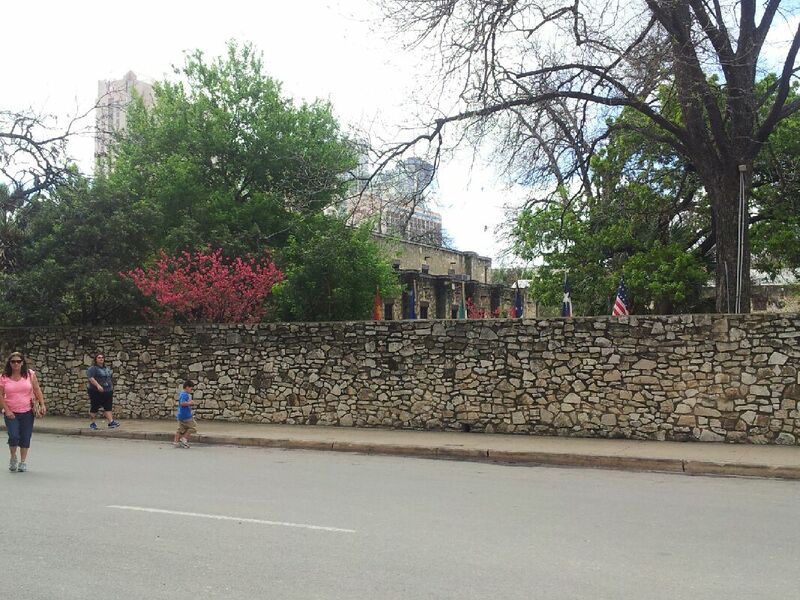 This is some of the wall that surrounds and protected the Alamo..
Ok….So the race. 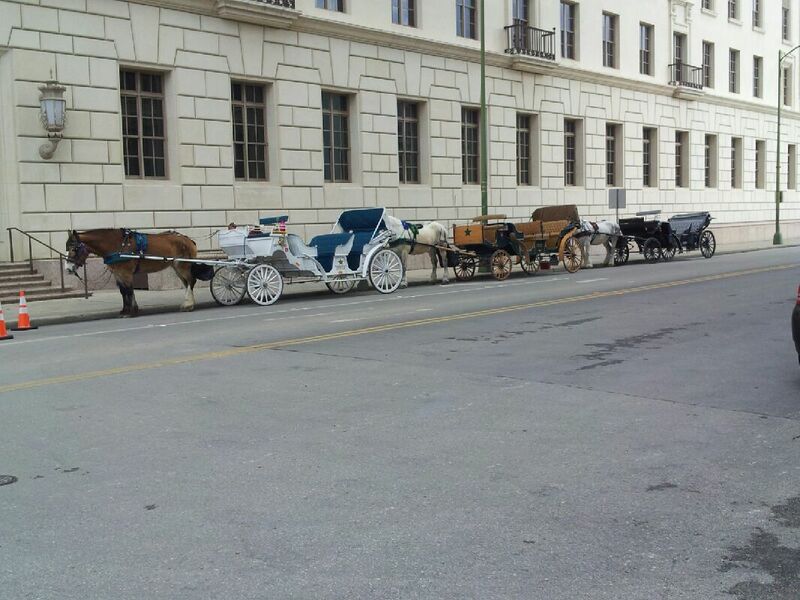 It’s pretty flat and they do a great job of touring you through old downtown San Antonio, along the Riverwalk, a local university and a beautiful city park and golf course…..they also throw in some trails too. As I mentioned previously, I like that this race is home grown and still smallish ( a few thousand people) they try and make it fun and offer personal touches. And really, what other race starts with a real cannon blast ? I knew when I started this race I was going to treat it like a long training run. A few miles in though I started dealing with some queasiness. I didn’t get it cause my morning routine had been the same as any other long run day. I later determined, I didn’t have enough fluid in me. I am a big water drinker on a daily basis and usually push more before a race, which I hadn’t done. Am I the only one who does stuff like this ? You KNOW what you need to do, but somehow, you just fail to… and then you pay for it. Add to it, I sweat out a lot, and I’ve learned…. that sets me up for that horrible feeling…which makes it soooo hard to keep pushing myself faster. Although after passing the water station at mile 11 I had a young girl pull up next to me and say.. “I’ve been trailing you for miles… you’re doing great!” it did encourage me to push myself those last couple miles. One thing I’ve learned in races… people pick me out and pace off me…. I guess I keep a fairly steady pace. Anyway, I finished in about 2:20. 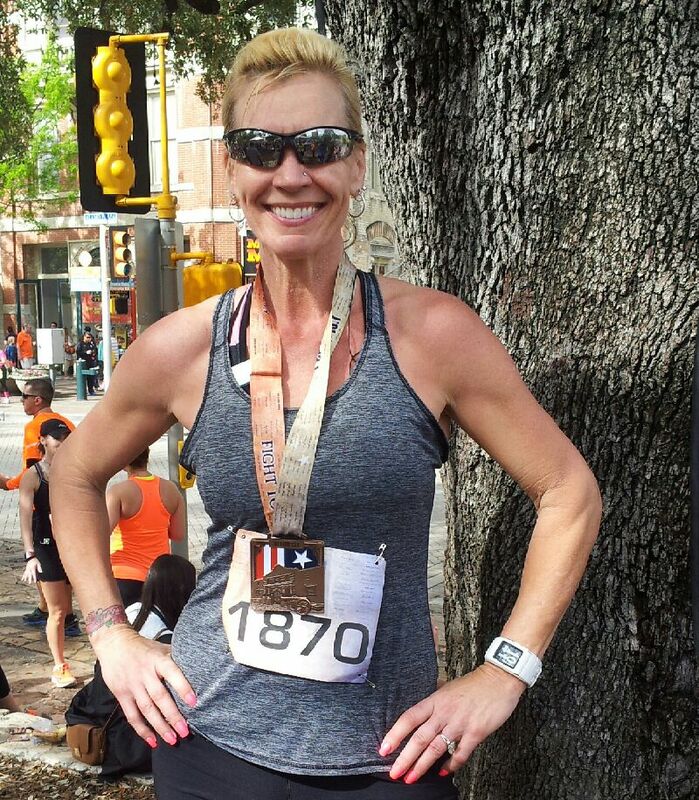 Not my best time….. I’ll never be the fastest, most impressive runner on the course, but hey, I just ran 13.1 freaking miles! And then I realized after I finished and cooled down, walked back to my car to get my phone to snap pics and was chatting with people I realized, almost 40 minutes later, runners were still coming in and were still on the course. Yeah, ok, I need to be nice to myself and know I did ok. AND I still got this super cool, 3-D medal for my reward 😉 it’s such a heavy lil sucker…. Oh and let’s not forget this tasty ice cold recovery drink they hand off to you as you finish…. 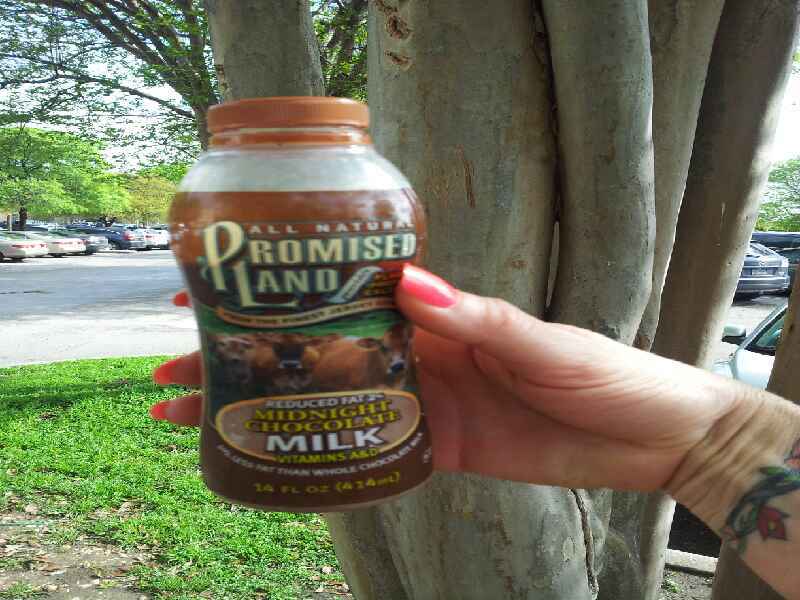 Gotta love Promised Land milk…. Although after running forever and then walking blocks back and forth to my car, I was pondering the beauty of relaxing in one of these….. So overall, a good race, wonderfully decent weather (I’ve forgotten what it’s like to run in shorts and minimal clothing!) good people and a good solid run to keep me loose for this Saturdays 50K I’ll be taking on. That will be my next running adventure to share with you. Tell me… have you had any fun race adventures recently? What about the runners bling ? Do you have a fav cool medal you earned ? All your pics make me miss San Antonio. I’ve lived in the Pacific Northwest most of my life but I went to Our Lady of the Lake University my first year of college and loved it, such a beautiful city. Next Next post: So Much Food. What To Eat ?